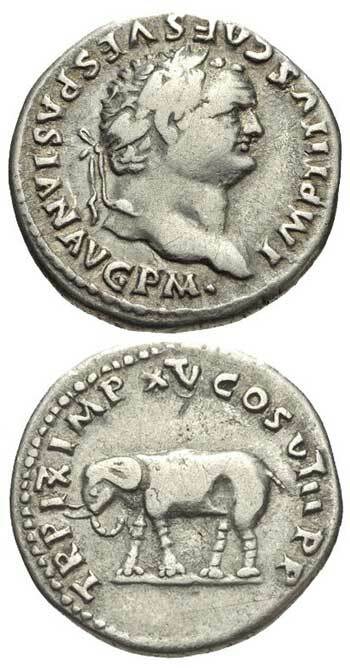 Titus was the second of the Flavian Emperors, chosen by his father Vespasian to succeed him or "no one will." Titus was the eldest son of Vespasian, and had been trained as his chief assistant. 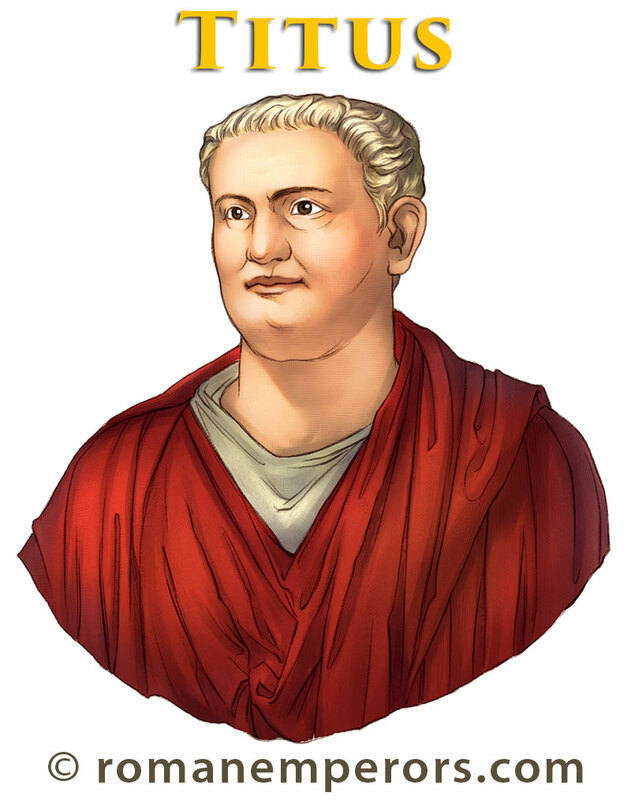 He served with Vespasian as consul and censor, and shared with him the imperium and tribunician power. While he was campaigning against the Jews in Jerusalem he met and fell in love with Berenice, the daughter of Herod Agrippa I. Titus became emperor of Rome in 79 A.D. 10 years after his fasther Vespasian became emperor. Titus was best known for his generosity. During his reign some unavoidable disasters happened, a fire broke out in the city of Rome, also a plague killed thousands of its citizens, and Mount Vesuvius erupted in 79 A.D. burying the cities of Herculaneum and Pompeii under its tidal wave of mud, ash, and pumice. Pliny the Younger gave an eyewitness testimony to the event. 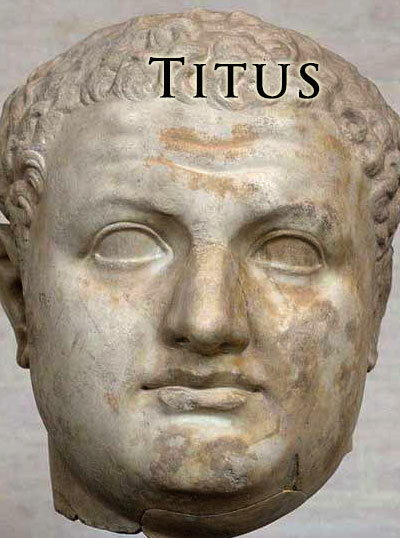 Titus gained popularity like his father but suddenly died in 81 A.D. at the age of 42. He was succeded by his younger brother, Domitian. The famous Arch of Titus on the Via Sacra in Rome was erected in his honor to commemorate his victory over the Jews.